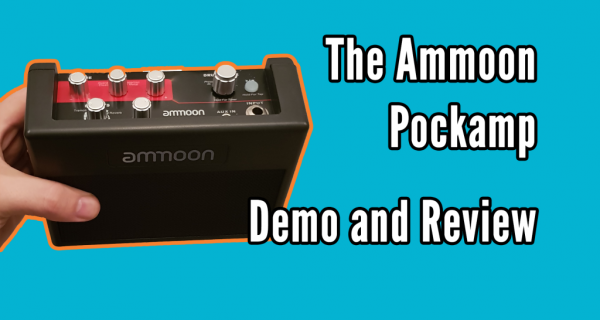 The Ammoon PockAmp practice amp. A battery powered amp with built-in Chorus, Tremolo, Reverb, Drum Loops and tuner. Oh, and it has 4 channels, from Clean to Heavy Metal!